principle as well as updates to the method for those already using it. outlined in his book ‘Fighting Fire with Fire’. Ton developed this method to achieve complete treatment of patients, following the principles of the Organon and adapted it to the diseases of our civilization. 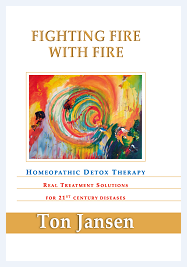 Ton developed new homeopathic remedies necessary for the treatment of these diseases, which have come from all the toxic environment and allopathic medicines. He will show us how he takes and manages cases, discussing the Poly combination remedies and answering questions. He will use live cases to demonstrate this so we can get an understanding of how it works in practice. This also allows us to cover a wide range of disease and complex case histories. Poly Contraceptive and how to manage with them in cases. live cases per day which allows us to understand the method in practice.